Olivia Taylor Dudley is an American actress. She is one of the rising stars who has taken Hollywood by storm. Since commencing her acting career in 2007, she has gone on to acquire an impressive filmography featuring several movies and TV series. They include the 2012 horror movie, Chernobyl Diaries, Transcendence, The Barber, The Vatican Tapes, CSI: Miami, NCIS, and much more. Olivia Taylor Dudley was born on the 4th of November 1985 in San Luis Obispo, California. She fell in love with acting at the age of five, thanks to the movie Poltergeist. Poltergeist is a 1982 supernatural horror movie about a family that is terrorized by evil ghosts. Rather than being scared by such a movie, the then 5-year old Dudley loved it and made up her mind to become an actress. She subsequently moved to Los Angeles to pursue these dreams aged 17. Dudley commenced her acting career with a minor role as a dancer in the 2007 movie, The Anna Smith Story. She followed it up with another role in Remembering Phil in 2008. 2011 was a good year for the California-native as she landed significant roles in two projects – Birds of a Feather and Chillerama. 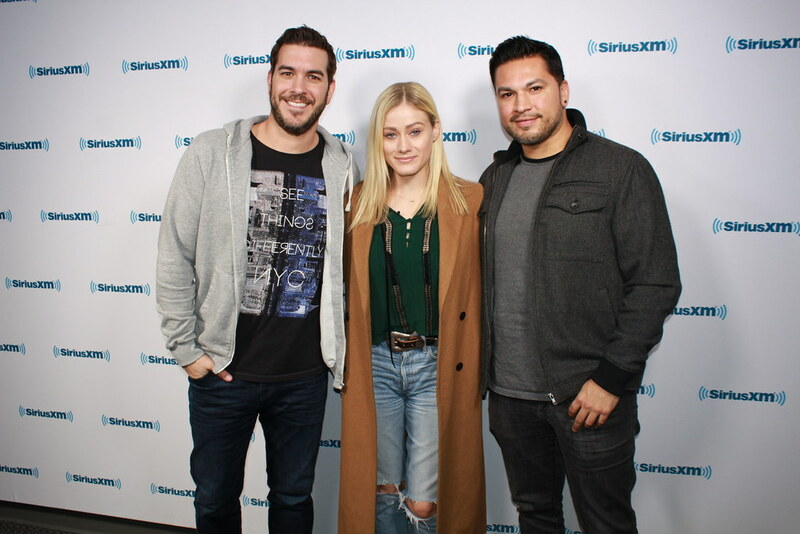 Olivia Taylor Dudley continued her steady progression with a major role in the 2012 thriller, Chernobyl Diaries. Since then, Dudley has gone on to appear in other movies such as Dumbbells (2014), Transcendence (2014), The Barber (2014), Dude Bro Party Massacre III (2015), Paranormal Activity: The Ghost Dimension (2015), and The Vatican Tapes (2015). In the Vatican tapes, Olivia Taylor Dudley played the lead role of a demon-possessed girl and received positive reviews for her efforts. It is interesting to note that most of her movies so far have been in the supernatural/thriller/horror genre. On the small screen, Olivia Taylor Dudley has featured in series such as the police procedural dramas, NCIS (2011) and CSI: Miami (2011/2012). Others are The Mindy Project (2013), Arrested Development (2013), The Comedians (2015), Aquarius (2016), and Curb Your Enthusiasm (2017). Her most popular role till date is unarguable as Alice Quinn in the Syfy Series, The Magicians. In it, she plays a magician who has neglectful parents. The hugely popular supernatural series has launched Dudley and her fellow cast mates into the spotlight. So popular is the character that Dudley goes by the moniker – Alice Quinn – on her official Instagram account. The Magicians star is currently not married but she has been involved in some romantic relationships. She previously dated American filmmaker, Evan Glodell. Glodell is a budget filmmaker and a native of Wisconsin. He has produced several movies with the most popular being the 2011 film, Bellflower. Their relationship lasted for five years and they reportedly broke up in 2016. Dudley is currently said to be dating cinematographer, Elie Smolkin. The relationship reportedly commenced in 2017. Smolkin holds Canadian and American citizenship and has shot several prominent projects. They include the first and second seasons of The Magicians. Dudley and Smolkin most probably connected during their work on the set of The Magicians. There is not much information about the actress’ early life. This is quite understandable given that she is still a rising star. We, however, expect that as her profile grows, much more details will emerge about her life. What we do know about Olivia Taylor Dudley is that her father’s name is Jim Dudley while her mother’s name is Saundra Dudley. There is currently no information as to whether she has siblings or not. With regards to education, we do not know the specific schools Dudley attended. But then, it is known that she was home-schooled at some point in her life, from the 7th to the 10th grade. Olivia Taylor Dudley boasts of an amazing bod, she is 5 feet 2 inches tall (1.6m) and with regard to weight, she weighs a modest 121 lb (55 kg). Additionally, she has a waist size of 26 inches, breast size of 38 inches, and hip size of 36 inches. Dudley is a natural blond and boasts of a pair of captivating blue eyes.